Why the Next Unicorn will be From the Online Food Ordering and Delivery Market! At the dawn of 21st century, after the dot-com crash, a new wave of online startups started to emerge, which would slowly change the whole perspective of how we ordered food. Spearheaded by pizza and Chinese eating joints, home delivery of food had already become popular among consumers. However, now the business of delivering restaurant meals to the home is undergoing rapid change as new online platforms race to capture markets and customers across the globe. This market is showing immense potential and attracting considerable investments. Many predict that the next set of unicorns would come out of this sector. 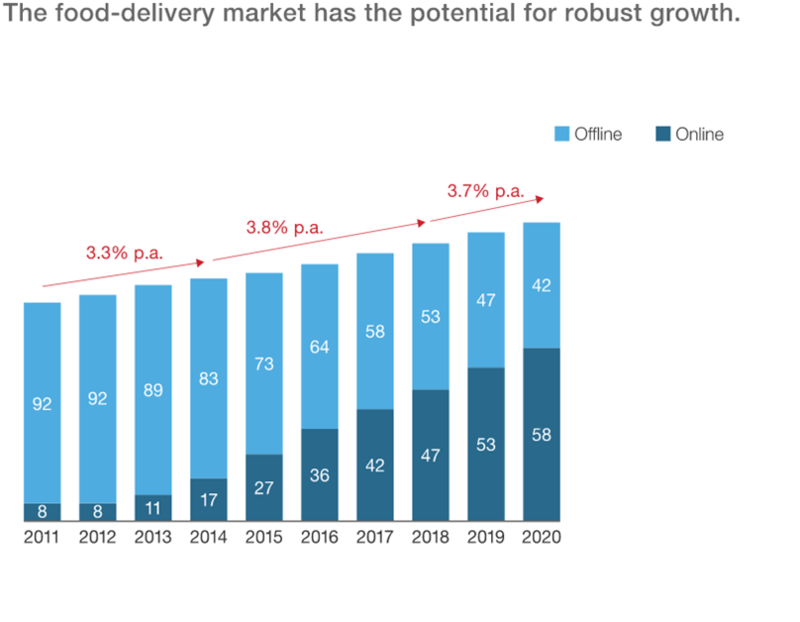 Let us take a closer look at how the whole market dynamics for online food ordering and delivery marketplaces are changing globally. Food ordering and delivery service were first pioneered by pizza joints and the idea soon engulfed bulk of the food industry. As the internet has come to the forefront, a new wave of online food ordering and delivery marketplaces has come to the forefront. There are two types of platforms that have risen to fill the void of legacy systems. The first type is the “aggregators” and the second one is the “delivery providers”. Both of them allow customers to compare menus, post reviews and place orders from a multitude of restaurants conveniently. However, there is one stark difference between the two. While the aggregators only take orders from customers and route it towards the restaurants, the delivery providers go the extra mile and deliver the order themselves. Aggregators are built on the traditional model of food ordering with an addition of online ordering. While before consumers used to call and place an order, these aggregators allow consumers to place orders online. Additionally, they give choices to the consumers where they can compare menus of different restaurants. They work on an asset light model, where all they have to do is manage the online platform. Marketplaces like Foodpanda, Grubhub, and JustEat work on this business model and have received funding worth millions of dollars. Just like the aggregators, the delivery providers also offer the service of comparing menu, rating and placing an order online. However, they also manage the delivery and logistics for the restaurants. This is helpful for high-end restaurants that do not offer delivery to their customers. 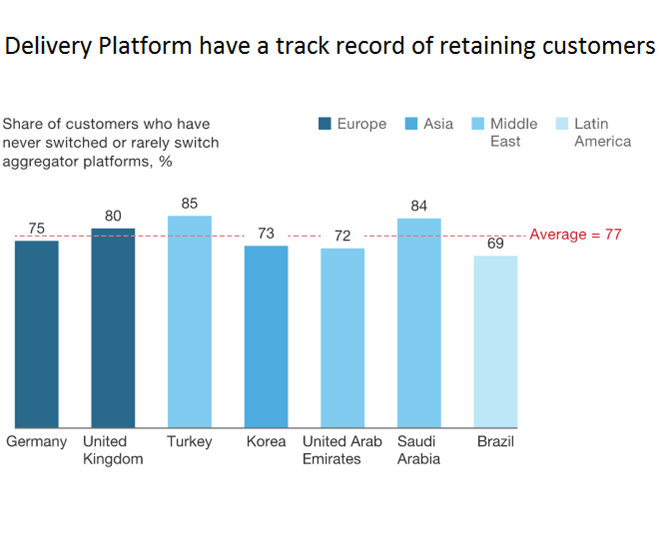 Despite the additional cost of maintaining delivery services, these players generally work at margins of around 30 percent. There are global players like Deliveroo and Foodera are working on this model. Note from experts– Although the margin for delivery players is lower than that of aggregators, the future opportunities for them are immense. This is because they can extend food delivery to a new group of restaurant and food outlets, which do not offer delivery on their own. Additionally, we believe that in the future the lower end of the traditional food outlet, which does provide delivery would also migrate to this model as outsourcing delivery logistics is more cost efficient. Choosing a business model for an online food ordering and the delivery marketplace purely depends upon local market dynamics. However, irrespective of the market trend, this business idea is slated to grow enormously in the coming years. 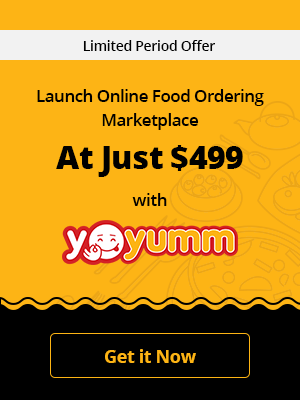 Looking for a ready-made online food ordering marketplace solution? Currently, the global food ordering and delivery sector stands at $95.64 billion, which is mere 1% of the total food market. Although it has matured in many countries, there are still several demographics which are yet to open the door for this sector. This puts forth immense growth opportunities for new startups. Currently out of the total traditional food ordering market, 58% is offline while 42% is conducted online. This figure is slated to flip in the next couple of years. Overall this sector is growing at an annual rate of 3.7%, but interestingly online food ordering and delivery sector will grow at 15-20% during the same period. At the end of the day, as an online food ordering and delivery marketplace, your main aim is to keep the user base happy. And the best part is, if you manage to pull that off, your users are unlikely to jump ship. Studies have shown that food delivery platforms have a good track record of retaining customers on an average of 77%. This means that if you have an early bird advantage and offer your customers a robust service, then they will seldom switch to any other provider. A massive 79% surge is expected in the total U.S. food home delivery market over the next five years. The top five players in this sector have a combined valuation of $11.52 billion. Like in so many other sectors, the internet and digital technology have surely shaped the overall market. A consumer who has become accustomed to online shopping is now being easily enticed into other areas where online businesses offer maximum convenience and transparency. Launching an online food ordering and the delivery marketplace is being touted as one of the top business ideas in the current market dynamics. Clearly, the market is on a definite growth path and the challenge before entrepreneurs is to just bring forth a compelling online marketplace. Posted in Food Delivery Startup Ideas, Web Based Business Models by FATbit Chef.